The SEFSD club field is restricted to electric powered model aircraft only. All pilots must have regular AMA Membership (no Park Pilot) and will fly within current AMA regulations and have their AMA membership card in their possession, and wear/display club badge when flying. Frequency control is used for all non 2.4 GHz radio systems. Use clothespin tags with your name on it to reserve the frequency you wish to use. Place the pin on the board before you turn on your transmitter, and remove the pin when you are done. Entrance to the field is through the gate from South Shores Parkway. The gate is to remain closed and locked when the field is not in use. The field is open to flying 7 days per week, 24 hours per day, unless closed by the City of San Diego for events or any other reason. All pilots shall be positioned at assigned flight stations during flight operations. Flying will be north of the north edge of the runway except for soaring flight in the south east and south west soaring areas and helicopter hovering in the designated area. The West Limit is the tree line east of the sidewalk. The North Limit is the palm trees. Do not fly over the area of the blue patio cover near the sidewalk. There will be no flying over the pit and parking areas. All low flying shall be done north of the runway except for take off, landing, and touch and go operations. Take off and landing shall be into the prevailing wind and shall be announced by the pilot. Helicopters and multicopters shall fly from any of the runway flight stations when they are flying the same pattern as fixed wing aircraft. Extended hovering and 3D acrobatic flight must be done in the helicopter/multicopter area to not obstruct the runway. Aircraft shall yield to all wildlife. Do not fly directly at or near any wildlife. Pilots or callers will announce all take offs and landings in a strong voice. Any person needing to cross the runway shall also call out “On The Runway” and “Clear” when necessary. All airborne model aircraft must immediately descend to 50 ft or less if any manned aircraft enter or approach the flying area. Club officers and board members have the authority to enforce safety and operational rules. Operating model aircraft under the influence of drugs or alcohol is not permitted. First person view flight (FPV) will meet all of the requirements of AMA Document 550. Visual line of sight must be maintained and flight must be maintained within the clubs flight boundary’s. Advanced autopilots using failsafe and stabilization may be used that meet all of the requirements of AMA Document 560. Aircraft that are being flown by preprogrammed set of waypoints must set all waypoints within the posted flight boundary. Failsafe systems that return to a set position are allowed. Visitors with a valid AMA card may fly with a club member sponsor. Both the visitor and the club sponsor will sign the visitor logbook agreeing to the club and city rules before the visitor can fly. The club sponsor must stand at the flight station with the visitor for the first flight to make sure that the pilot is flying consistent with the club rules. Due to the increasing costs of the damages caused by the public and the additional health risks we are fighting, we have secured a lock. 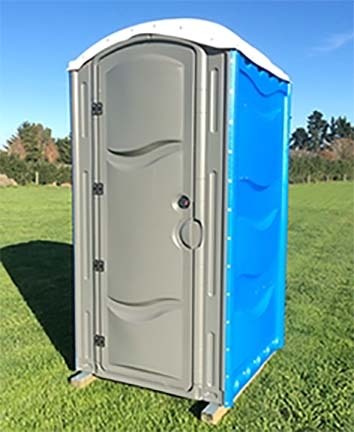 Effective 5-12-2018 the outhouse will be LOCKED when not in use. Your gate key will open the new lock. Please keep your key with you, and re-lock the door when you leave. Please have patience when the public now will come in at 40 MPH like before only to find it locked, then to leave at 50MPH. Cammo Paint will be added ASAP as that helped reduce traffic substantially before the current shack was put in as a replacement.